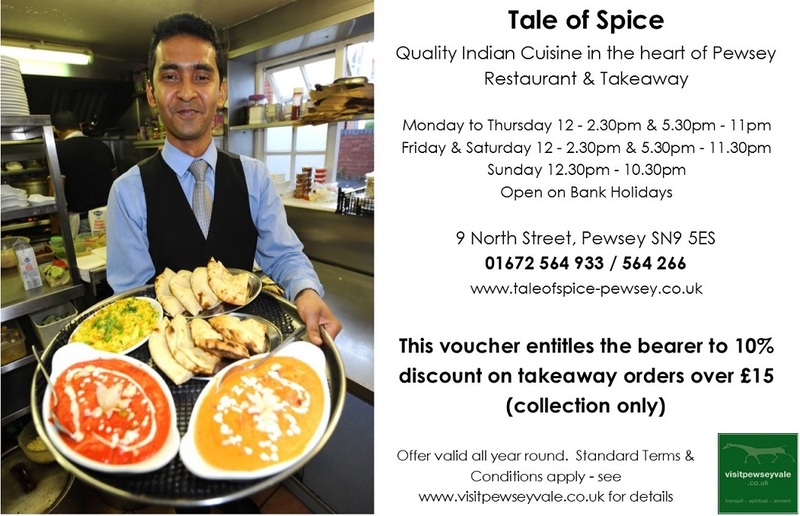 Get a 10% discount on your takeaway order over £15 (Collection only) from Tale of Spice in Pewsey. Tale of Spice is a top quality Indian restaurant and takeaway, with an extensive menu and great, friendly service. Located right in the centre of Pewsey in North Street (opposite the Fire Station), there is easy parking outside or in Bouverie Hall car park. Offer is valid all year round. Terms & Conditions apply. No cash alternative.